The Ruler Company has a sterling reputation for only producing and supplying the highest quality products. We are passionate about stationery and rulers in particular and know the crucial role they have in most people's lives. Although children are often using rulers, the use of these handy measuring and straight edge implements doesn't stop when you leave school or college. In fact, many professions and individuals rely on rulers for accuracy when drawing lines and taking measurements. Therefore, we always ensure that our products are made from high-quality materials such as hardwood. 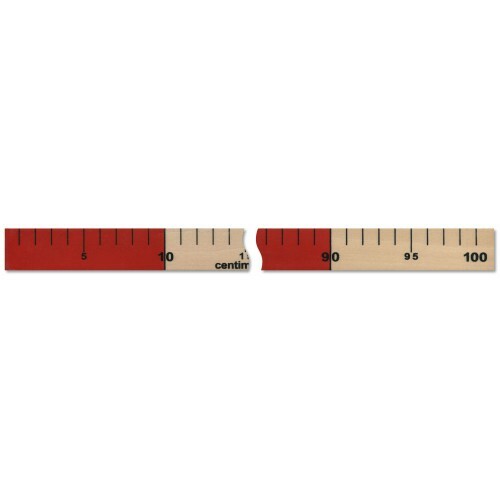 This junior metre ruler is a great example of the quality we supply. It has been designed with younger users in mind but does not compromise on size and is as accurate as our more adult/professional minded rulers. One metre long, it is ideal for larger-scale projects and because it is made from better quality materials than those inferior and cheap plastic rulers that are so prevalent these days, it won't snap or break easily and is able to endure a lot of use. So, whether you are looking for your child or teenager or want to buy one for yourself at the office or home, you have our quality assured guarantee. Even if you don’t need something this long, it can still be beneficial to use a ruler that will sit across a wider surface, giving you more to grip and to better enable you to make those sharp and straight lines.